Headquartered in Oklahoma City, Oklahoma, McCubbin Hosiery LLC is leading children’s, women’s and men’s hosiery company with an extensive distribution network of branded and private label socks, tights, slippers, leg warmers and infant soft sole shoes. McCubbin offers a portfolio of hosiery for footwear and apparel brands, complemented by sales of its own Robeez® brand and private label products. 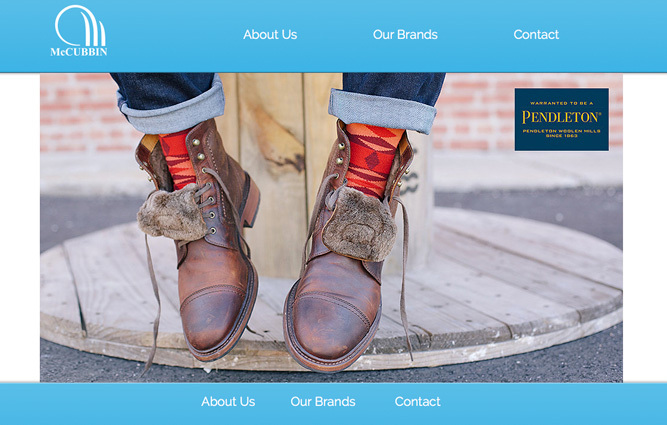 The Company’s portfolio of licenses includes Stride Rite®, Pendleton®, Yummie®, Free Country®, Tretorn®, Life is Good®, Trumpette® and Rosie Pope®. McCubbin sells through department stores, mass retailers, warehouse clubs, specialty stores and e-commerce channels. For more information about McCubbin Hosiery, LLC, visit www.mccubbin.com. At Guardian Capital Partners, contact Scott D. Evans.